Fox is flipping some burgers on Sunday nights starting Sunday, April 3. 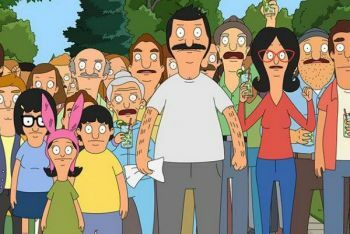 Animated comedy Bob's Burgers and live-action comedy Cooper Barrett's Guide to Surviving Life will be switching timeslots on Sundays. Bob's Burgers will move to 8:30pm following The Simpsons, while Cooper Barrett's Guide to Surviving Life will move to 7:30pm following new episodes of Bordertown at 7pm. Bob's Burgers will air a special extra episode on Sunday, April 3 only at 9pm as well, in lieu of a Family Guy rerun. This is not good news for Cooper Barrett's Guide to Surviving Life, as it has struggled in the ratings. The recent move of Bordertown from 9:30pm to 7pm was also not good news for Bordertown. In Cooper, the series follows the charming misadventures of Cooper Barrett (Jack Cutmore-Scott) and his friends as they struggle through messy, terrible and hilarious disasters - a night in jail, crazy ex-girlfriends, going broke - giving us guidance so we can avoid the same mistakes. And Bordertown is a satirical look at the cultural shifts taking place in America, the series explores family, politics and everything in between. The comedy centers on two very different families living in a fictional Southwest desert town on the U.S. - Mexico border and stars the voices of Hank Azaria, Alex Borstein, Judah Friedlander, Nicholas Gonzalez and Missi Pyle. Netflix, the world's leading Internet TV network, will exclusively launch worldwide in 2017 the new comedy series Santa Clarita Diet, from writer Victor Fresco (Better Off Ted, Andy Richter Controls the Universe). 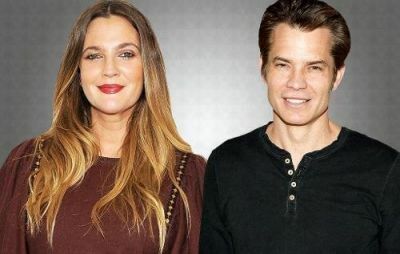 In the single-camera series, Joel (Timothy Olyphant, Justified) and Sheila (Drew Barrymore, Blended) are husband and wife realtors leading vaguely discontented lives in the L.A. suburb of Santa Clarita, until Sheila goes through a dramatic change sending both their lives down a road of death and destruction...but in a good way. More info will come soon on this so stay tuned, but it will premiere sometime in 2017 only on Netflix.